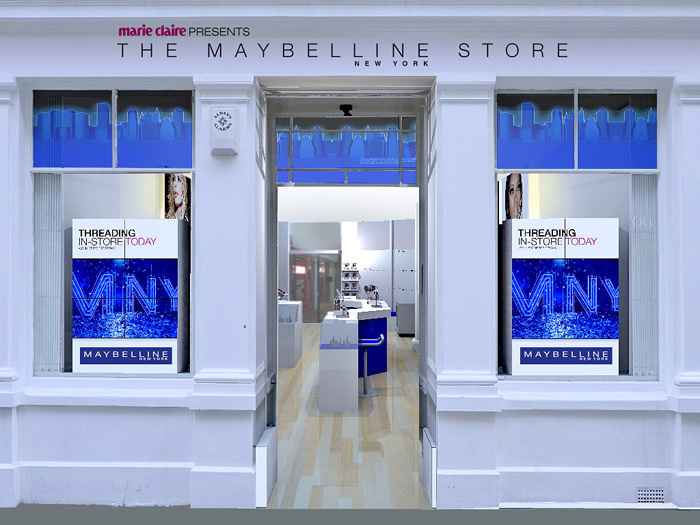 This September sees a world first… for 10 days only, head down to 18 Shorts Gardens, Seven Dials to experience the Maybelline Pop Up Shop courtesy of Marie Claire. Open from (today!) the 16th-26th September, the space will be dedicated to backstage beauty, retailing exclusive Maybelline shades and products and showing fashionistas how to achieve this season’s must-have catwalk looks direct from New York Fashion Week. You’ll be able to shop the range of Maybelline’s products but ALSO (and super exciting! ), you’ll be able to lay your hands on the NEW Maybelline Eye Studio Gel Eyeliner, which isn’t even set to land on our shores until next year! There’ll be complimentary threading and an in-store manicurist available every day… all set within a 600 square foot beauty emporium. Oh my! Over the course of the 10 days, Marie Claire have organised a series of events and opportunities… read on to discover them! Be inspired by New York fashion at the ‘Backstage Beauty Bar’ where catwalk trends have never been more accessible. Backstage guru and Maybelline New York global make-up artist, Charlotte Willer has designed and created each look to reflect a key trend from the Autumn/Winter season. Simply select your preferred look from the stunning model images and our professional make-up artistes will be on hand to demonstrate how you can achieve it at home using a tailored palette of Maybelline must-haves. Take a trip to Covent Garden with a copy of Marie Claire’s October issue in-hand, follow the location clues on Twitter and if you find a ‘Marie Claire fashionista’ or a ‘Maybelline Make-up Maven’ you stand a chance of bagging yourself a fistful of pink Maybelline & Marie Claire dollars to spend in the pop-up shop. If you’re lucky enough to receive these dollars, you will be able to use them to redeem a selection of Maybelline goodies and other prizes at the pop-up shop. Take the opportunity to get a fabulous facebook photo taken by our in-house photographer. After being made up by one of the Maybelline make-up maestros, simply pose like a model for your best shot ever. Then get your friends to like the pic! A New York treat day – Enjoy a day of complimentary treats, Big Apple style. There are doughnuts by day, then late-night shopping accompanied by Cosmo and Manhattan cocktails and the laid-back vibes of a New York-inspired DJ. Also chance to win amazing NY-inspired prizes. Think you can become the next new face? Then come down to the pop-up shop on 19th and 26th September and you could be scouted by London’s top modelling agency, Elite. The scouts will be looking out for fresh new talent, a photographer will take those all important shots and an Elite London model will be on hand to give advice. Offload any style concerns with the Marie Claire stylist who will be there to talk through the key fashion looks of the season and give sartorial advice to go with the key beauty looks on offer. For one night only, the pop-up shop will transform into a learning lab as it hosts How to get into Beauty’, part of Marie Claire’s prestigious ‘Inspire & Mentor’ campaign and series of how to get into… industry events. A panel of inspirational women from the world of beauty will share their knowledge on how to make it this highly coveted industry offering the audience a unique insight into how to make a career out of cosmetics. This event will be limited to ticket holders, please visit www.marieclaire.co.uk/popupshop for more information. 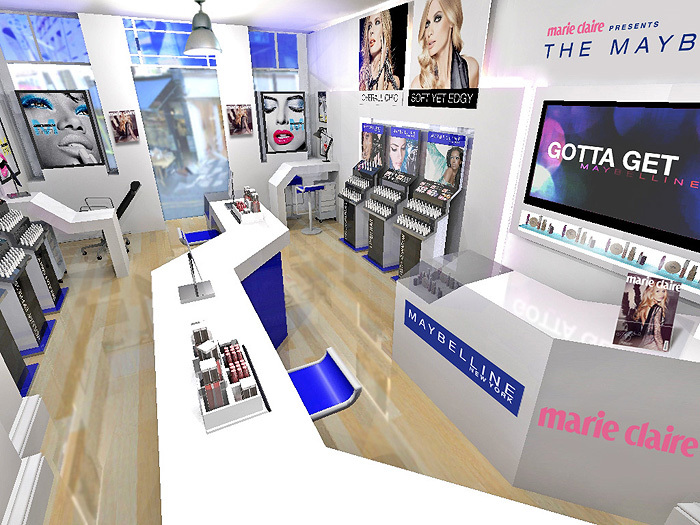 Will you be heading down to Covent Garden to check out the Maybelline New York Pop-Up Shop? Gawd, I wish I could! that store is simply beyond amazing! I cannot believe my eyes! I with there was one like that near here. I am so jealous that I am literally drooling in front of the screen!!! I need to get these caterpillars on my forehead threaded ASAP and this gel liner just sweetens the deal! I have booked the make up class in 20th morning, can’t wait now!